A front frame which is mounted behind the tractor. A horizontal parallelogram with hydraulic steering cylinder. Rear frame with the hoeing elements attached to it. Using the tractor's hydraulics, the manually operated joystick provides easy and accurate steering. 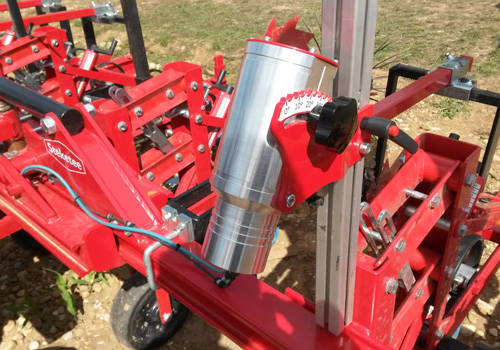 The Steketee IC-Light is the most accurate and easy to use system for cultivator steering. 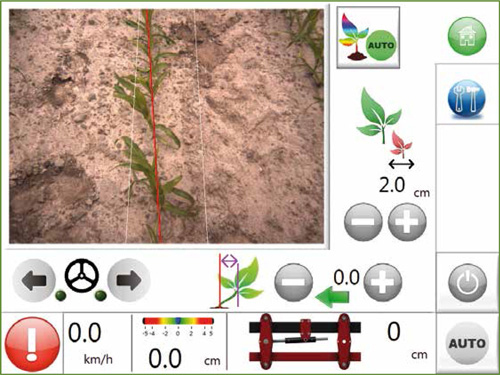 The color camera recognizes the crop row, and steers the machine independent of the tractor. 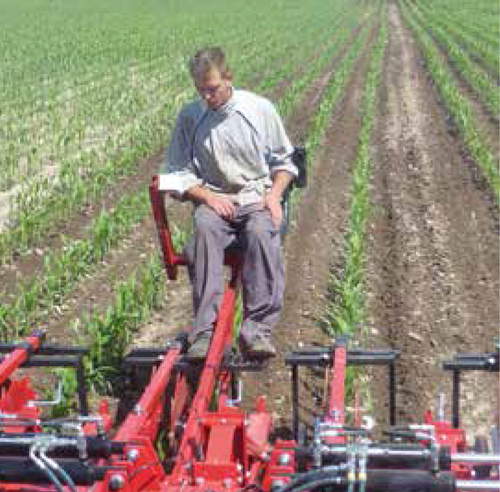 The IC-Light steering system allows for faster, more accurate cultivation than traditional, manual steer cultivators. Many growers are choosing to replace their aging, unsupported Eco-Dan guidance systems with IC-Light, which features modern technology. Steketee continually updates and refines programming, so you can be sure you're always taking advantage of the latest technological advances with the IC-Light. Many farms begin operations before dawn and continue long after dusk. 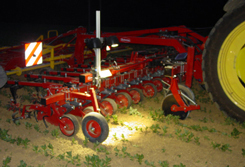 For these and other low light conditions, optional LED lights can be added to the IC-Light guidance system. Optional Steketee Remote Service is available. 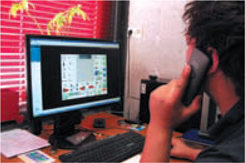 This option allows the IC-Lights computer system to connect remotely to Steketee technicians for program updating and troubleshooting.